Thinking Ahead to the Summer! It might seem somewhat early to cast our minds ahead and think about the (hopefully!) glorious summer which awaits us, especially when assignments are due and upcoming exams occupy our thoughts. Last Easter was a blur of exam revision, countless essay plans and Lindt chocolate (Easter would not be the same without a Lindt bunny!) for me as I prepared for my then-upcoming A-level exams, which began even earlier than for most students because I had to sit my French oral exam at the end of April. Apprenticeships offer the chance to earn while you learn, and get a qualification at the same time. You’ll also gain valuable work experience at some of the biggest companies! Want to learn more? Check out the story of an apprentice at Framestore, an organisation who create scenes for some of Hollywood’s biggest pictures, such as Captain Marvel, Fantastic Beasts and Where to Find Them, Avengers: Infinity War, and the upcoming sequel, Avengers: Endgame. ‘When I was 11, I went and saw ‘The Avengers’ for the first time in the cinema with my brother. I was inspired so much by how things were created behind the scenes. From then I knew I always wanted to get into film, but more specifically visual effects. So, as you can see from the title, I dropped out of university. The one thing I found hardest about it was telling people that I was leaving. In fact, I still haven’t told all my friends that I’ve left, and this is 4 months afterwards. But why not? The thing is, I think many people view dropping out of university as such a negative thing, like ‘Wow! You’ve left, how awful’, when actually for me it was one of the best decisions, I think I’ve ever made. One friend who I bumped into recently and didn’t know I had left said to me ‘I’m proud of you for leaving’ and this really resonated with me. It is human nature to not want to admit to being wrong or making a mistake, but the weird thing is that we all do. Yes, some may be bigger mistakes like picking the wrong course but it’s still fixable. My friend was pointing out that it takes guts to admit you’ve made a wrong choice and correct yourself. Apprenticeships offer the chance to earn while you learn and get a qualification at the same time. You’ll also gain valuable work experience, which can help when you come to apply for jobs in the future. So what does it mean to be an apprentice? Get the inside view from Lucy Ackland from Renishaw, as she shares her journey from GCSEs to award winning engineer. It’s an exciting time as you consider your future, but don’t forget to consider all your options. Higher and degree apprenticeships are a different pathway to following the traditional route of going to university as a full-time student. 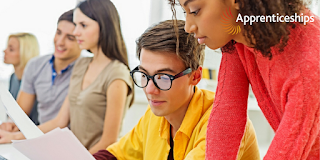 They offer all the benefits of higher education, as well as the competitive advantage of gaining valuable work experience while completing your degree. You will not only be learning, but earning a salary, from day one. Your tuition fees are paid for by your employer and the government, so you will not be expected to pay any tuition fees or apply for a student loan. You’ve decided to apply for a university in the UK. You’ve figured out (hopefully) the UCAS application system, you’ve chosen a course, and you’ve stumbled upon the various university rankings. But now you need to pick a university, where you’re probably going to spend three (or more) years of your life. How? How can you tell which one suits you best? Which one has the student life that fits you? Sadly, that’s not an option. As much as you want to visit, you simply cannot afford (either in terms of time or money, or both) to do so. It’s a situation most international students face — I did, too. Then how on earth did I choose five universities, out of the countless options that the UK offers, without even being able to visit them? As you may already know, university is significantly different to sixth form or college, which also applies to term dates. Although the academic year is somewhat shorter – often beginning in late September/early October and ending in May/June – universities do not have a half-term holiday, an aspect of sixth form that I really missed when I first began my studies last year. However, some universities, including my own, have ‘reading weeks’ which, in other words, are like a half-term break. Usually situated in the middle of a semester, reading weeks serve the purpose of enabling students to get a head start for the work and reading in the remaining weeks until the longer holidays (and exam period!) begin. You no longer have to choose between a degree or an apprenticeship. A growing number of companies are offering degree-level apprenticeships, so you can study for a degree debt-free, while gaining hands-on commercial experience. So, what does it take to be a degree apprentice? 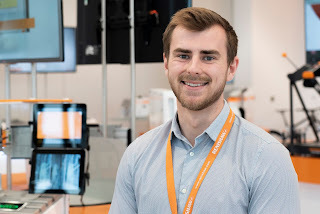 Craig Wakefield from Renishaw shares his experience of being a software engineering apprentice. Mature Student or just barking mad? Hey everyone! I’m Leanne, a mature student studying adult nursing. I am married, work part time, and have two sons one of which is on the Autistic Spectrum. Now I know what you’re thinking, ‘wow she’s got a lot on her plate’ and yep, I sure do. I mean this all seemed a good idea at the time! I’ve wanted to be a nurse for a very long time but, you know, life got in the way, so here I am. Trying. Stressing. Not sleeping. But it’s all going to be worth it right? I mean if others can do this so can I. Being a student, a mum, a wife, a housekeeper, and everything in between sure does keep me busy, I barely have time to have depression anymore so that’s a bonus! College life is great though, I’ve met some of the most amazing people ever, we’re all like a bundle of issues together! I love my tribe, but come September I will move on to actual University and I can’t say I’m not bricking it! Dealing with Stress - How to stay motivated? The end of another chapter is gradually coming to an end where everyone will soon be sitting exams, completing a final major project with the aim of leaving College or Sixth Form with grades that can get you into the university or apprenticeship of your choice! So now it’s coming up to this time it’s important to remind yourself daily of what your main goal is, because otherwise I usually find myself getting distracted and demotivated which isn’t good especially with this being such an important time. Setting yourself goals and reminding yourself of these goals will push you to strive harder, revise longer and maybe make you read over that essay just one more time before the hand in day!